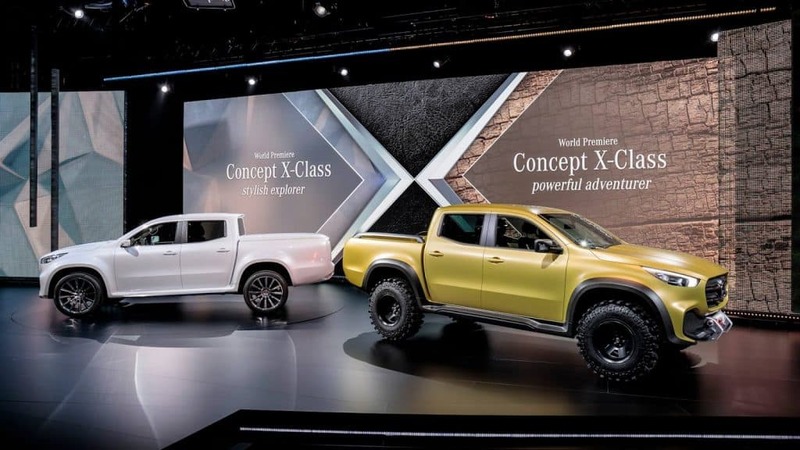 Last year in October, Mercedes Benz revealed its plans to enter the pick-up truck market and introduced us to the Mercedes Benz X Class Concept. The concept was an early design that looked unmistakably like a pick-up truck but with unique Mercedes characteristics such as the sweeping headlights, the large grill up front and, of course, the 3 pointed star logo. Fast forward to July 2017 and Mercedes has now revealed the X Class in all its glory. Let’s see what the new X Class from Mercedes has to offer. 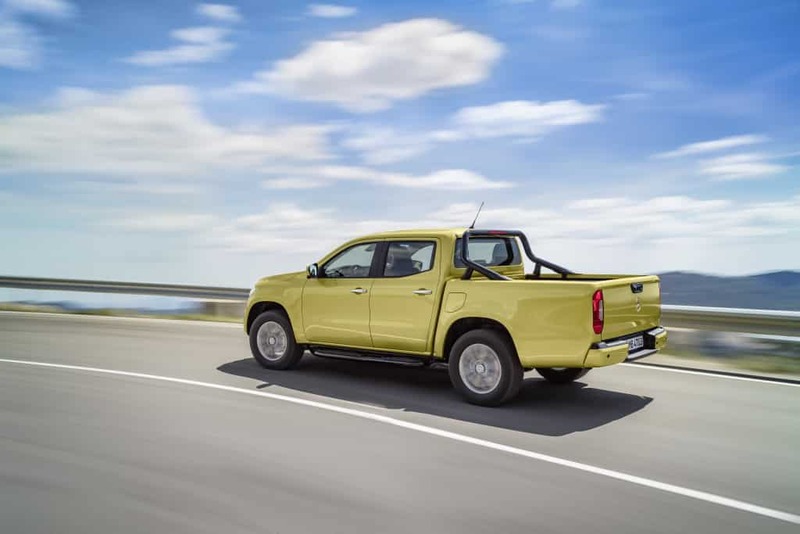 Starting with the exterior, you can see that the design and shape of the X Class is more or less similar to any other pick-up truck in the market such as the Nissan Navara or the Toyota Hilux. In fact, it does share the same platform with the Nisaan Navara but features a few overall changes. Being a Mercedes, it also does have some exclusive exterior design choices. It does not look too different from the concept that was shown back in 2016. Mercedes trademark design elements are all present on this vehicle. You have the big grill up front with the huge Mercedes logo. The headlights are also typical Mercedes and they resemble with any other of their vehicle lineup. The exterior lights are different from the concept in such a way that there’s no longer a single LED strip all around the bed but two separate lights on the back. While it may not look as good as the concept from the rear, it will help to make repairability easier and keep costs down. Having a wheelbase of 3,150mm, it is longer than the Toyota Hilux (3,085mm) but shorter than the Nissan Navara (3,198mm). Payload of the X Class is rated at 1,100kg with a towing capacity of 3,500kg. The approach and departure angles are 28.8 and 23.8 respectively. Overall, the new X class manages to find the right balance between tough and stylish. Coming from far away, you can easily tell that it is a pick up truck and that too a Mercedes. All these designing choices gives this pickup a strong on-road presence. While the platform might have been sourced off the Navara, the interior of the new X Class is all unique Mercedes. 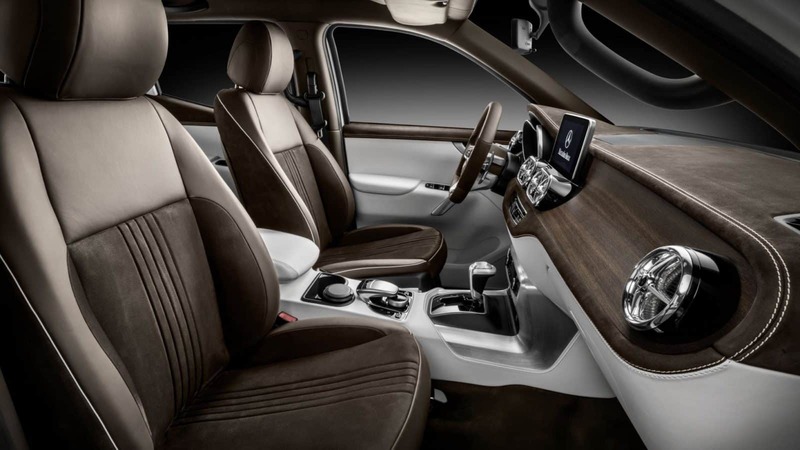 The X Class elevates comfort and quality feel to a new level within this segment of vehicles. The instrument panel has the concave trim element typical of a Mercedes. There’s also a COMMAND Online multimedia system included that features a 8.4-inches screen, which is also the biggest display in the segment. It has a resolution of 960×540 pixels and high-contrast IPS technology which just simply means that is is both sharp and clearly visible at any angle. Coming to the instrument cluster, you’d almost instantly recognize it for being a Mercedes Benz. It features large, analogue round dials that are available in the C-Class. There’s also a 5.4-inch color multimedia display in between the round dials. The buttons on the 3-spoke steering wheels are used to navigate through this screen. In the center console, you’ll also find the multifunction touchpad that is also similar to most other passenger cars that the company produces. The X Class will be available in 2 engine options. However, until mid-2018 you’ll only get a single engine but with two power options. The engine with which the X Class is going to be officially available is a high-torque common-rail diesel drive system with a displacement of 2300cc. As mentioned before, it will have two power outputs. In the X 220d, there’s a single turbocharger mated to the 2.3l engine that produces 163hp and the the X 250d is a biturbo that generates 190hp. Both of these variants will be available with either left or right-hand drive vehicles with rear wheel drive and engageable all-wheel drive. These engines will be available with a six-speed manual transmission but with the X 250d you get the option of a seven-speed automatic transmission as well. A high torque X 350d V6 diesel engine will be made available in mid-2018 which will ensure even greater agility on and off-road. This engine will generate a 258hp and a maximum torque of 550Nm. This will allow the X Class to have a leading position in the segment. They will come standard with a permanent 4MATICC all-wheel drive and the seven-speed automatic transmission 7G-TRONIC PLUS with steering wheel shift paddles and ECO start/stop function. The X Class Pure: This is the basic variant that is ideal for rugged and functional uses. It fulfills all the demanded places on a workhorse. At the same time you also get the comfort and design that you would expect from a Mercedes. 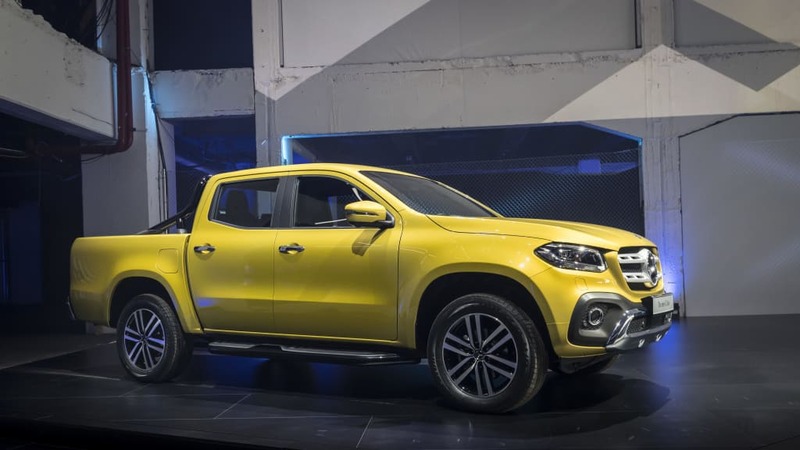 The X Class Progressive: This variant is aimed at people seeking a rugged pickup with extra styling and comfort functions. 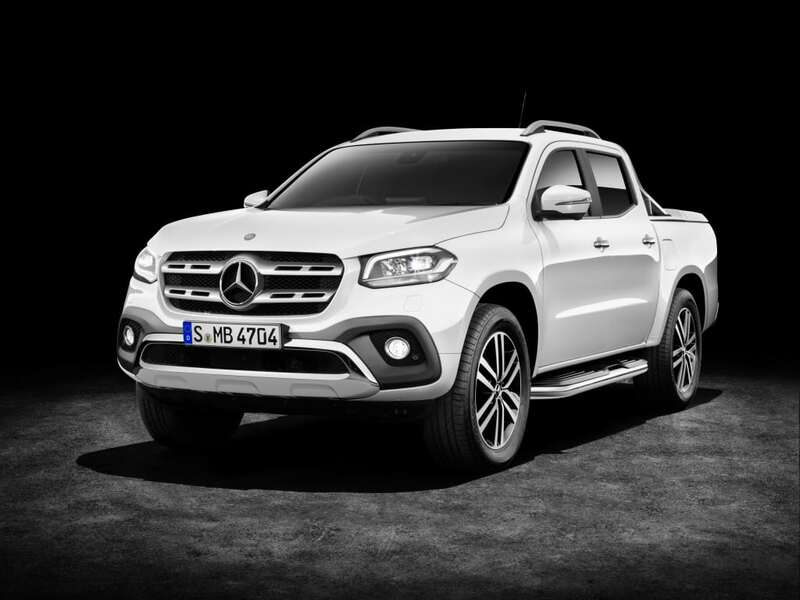 The X Class Power: This features a high-end design and equipment line. It is aimed at customers for whom styling, performance and comfort are paramount. Through its design and high level of equipment it reflects an independent and individualistic lifestyle. The Mercedes Benz X Class will be first made available n Europe, Africa South America and a few other markets. Pricing starts at around €37,000 which is almost equal to Rs. 44,800,00. Only time will tell for how much it will go for when it comes to Pakistan officially. Careem Ya Uber Par Iski Booking Milegi ??? No, it will be used by Daewoo Cab. You bothered to comment on it none the less.